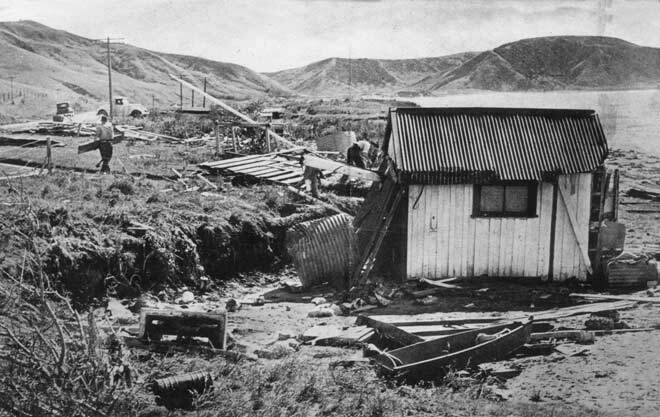 A locally generated tsunami near Gisborne on 26 March 1947 caused widespread damage along the coast. This is all that remained of a four-roomed house at Turihaua Point that filled head-high with water. Seaweed was left hanging in the powerlines in the background.